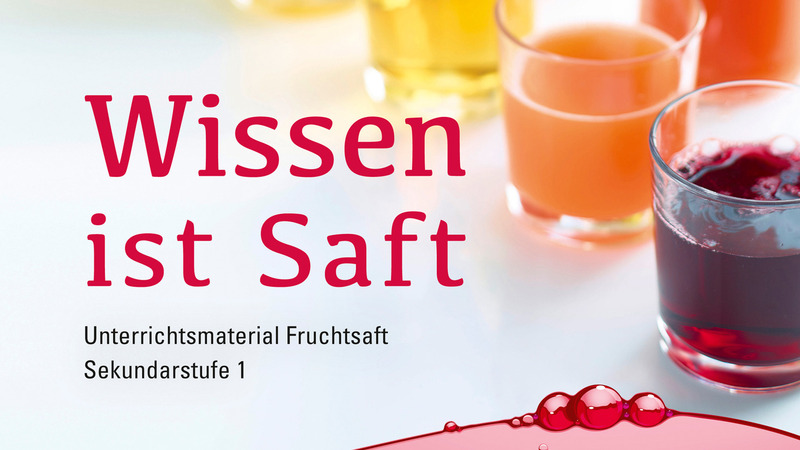 For the Association of the German Fruit Juice Industry e.V. (VdF), on one hand the value of fruit juice and on the other hand the current discussion about lifestyle, movement and nutritional habits from students are the main reasons to prepare teaching material about fruit juice for the classroom. With the teaching material Knowledge is juice for secondary education first stage (10-16 years), fruit juice is presented in an interesting, comprehensive and target oriented way for education. The teaching material is structured in five key subjects: facts and figures, ingredient information base, manufacturing, nutritional physiology and recipes. The students should learn what fruit juice is, how to produce it, which legislations and establishments are important or how they can identify juice. They will learn why drinking is so important and which drinks are recommended due to their characteristics and ingredients.